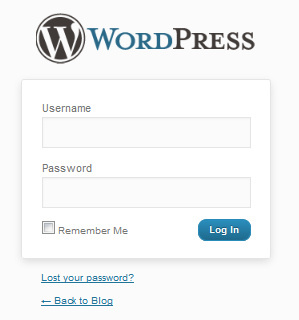 Whilst you can get a free Word­Press site from wordpress.com, you lose some con­trol and you have to serve their ads. I per­son­ally advise obtain­ing your own host­ing. There are lots of hosts out there, and which is most suit­able will depends on your require­ments and pref­er­ences. In the past I have hos­ted my own sites (e.g. jonscaife.com), I’ve used NearlyFreeSpeech.net for some sites (e.g. Premiership-Predictors.co.uk), and for this site I’m cur­rently using TSO­Host. You should find a pack­age that suits you. If you’re a begin­ner, I recom­mend find­ing a host which offers a con­trol pan­el that includes auto­mated install­a­tion of word­press (e.g. via softacu­lous) as TSO­Host does. You don’t want your site to look like a mil­lion and 1 oth­er word­press sites, so you will want an altern­at­ive theme. There are lots of free themes avail­able — for example, when this art­icle was ori­gin­ally pub­lished we were using the mys­tique theme. Since that time we’ve moved to a cus­tom theme inspired by mys­tique and built on the respons­ive ver­sion of the bones starter theme. Ideally you will want to con­sider a cus­tom theme, but for this you will either need to pay, or invest con­sid­er­able time devel­op­ing your own. Once your site is up and run­ning you can invest­ig­ate cus­tom themes. Word­Press has a very help­ful guide to devel­op­ing themes, but I recom­mend using some of the free “blank”, “bare-bones”, “naked”, “frame­work”, or “tem­plate” themes avail­able. These can get you star­ted on a cus­tom theme much faster, and many offer an excel­lent level of com­pat­ib­il­ity and fea­tures built-in. I recom­mend look­ing for (or cre­at­ing) themes based on HTML5 and CSS3, and with sup­port for microformats/microdata/rich snip­pets included. It is also worth hav­ing a theme which is “respons­ive” — i.e. it can adapt to lots of res­ol­u­tions effect­ively — so it will dis­play on mobile devices cor­rectly. There is extens­ive cov­er­age of such themes else­where which I won’t duplic­ate here, for more inform­a­tion start by look­ing at WP May­or, Design Shack, Specky­Boy, Smash­ing Magas­ine or Specky­Boy (again). Once your site is ready to go, use the W3C val­id­at­ors for html, css, atom/rss and mobile friend­li­ness, use the google rich snip­pets test­ing tool to test your microdata, and con­sider check­ing the access­ib­il­ity of your site. There are many ser­vices out there that will run mul­tiple browser tests and send you back images to veri­fy that your page will render cor­rectly in the huge range of web browsers out there. Use the power­ful fire­bug browser plu­gin to debug any issues you find.